The ideal compromise between noise and performance in combination with uniquely affordable price have made the BlackSilent fans the series with the most sold fans on the market! The new 140mm XK fans expand the portfolio with ultra-quiet 140mm fans. 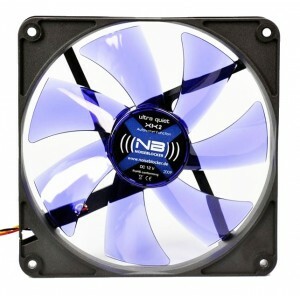 The extremely low starting voltage and the almost pulse-noise free motor make this 140mm fan the first choice! Of course an Auto-restart function as well as the dust-repelling fan blades and the almost inaudible NB-longlife bearing are implemented! Extremely low starting voltage of only 4,5V! The bearing used is a longlife floating bearing.